So it’s Thanksgiving. And the food blogosphere has been inundated with sweet potatoes, cranberries, pie crusts, and 4-day turkey brining processes. Which is all great and mouthwatering and exciting, except that I’m not in charge of Thanksgiving. And I’m the kind of person who actually loves Stove Top stuffing and plain old mashed potatoes once a year. So I’m not contributing any fancy new dishes to our table or experimenting with pie fillings or scouring cookbooks for stuffing recipes. Instead, I’m going to do whatever my mother tells me I can do to help. And the first of these things was to help her with the shopping. Which I did. But then amongst the acorn squash and fresh cranberries and bags of shallots, I found endives. For a price that was significantly less than the ridiculous $4 a piece they cost in the Durham Wholefoods. 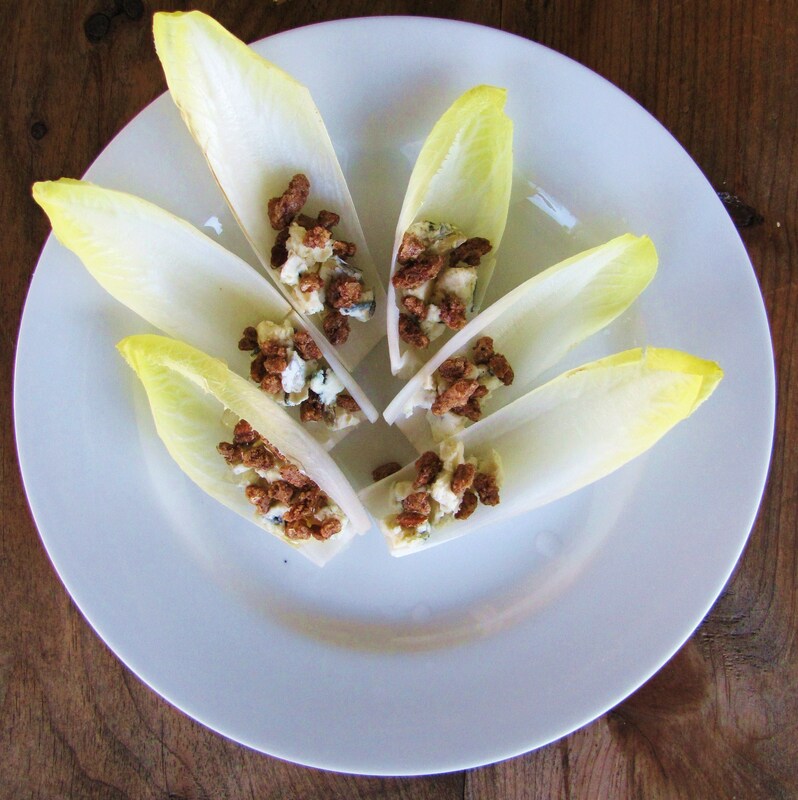 And since I’ve been meaning to share this endive recipe pretty much since the creation of this blog, I decided to buy them. 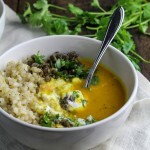 And that, my friends, is how it came to pass that I’m sharing a light, summery appetizer with you on the day before Thanksgiving, completely bucking national food blogging trends. 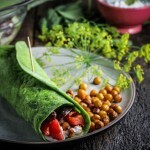 Although they would make a good cocktail party appetizer. And it is kind of the start of cocktail party season. 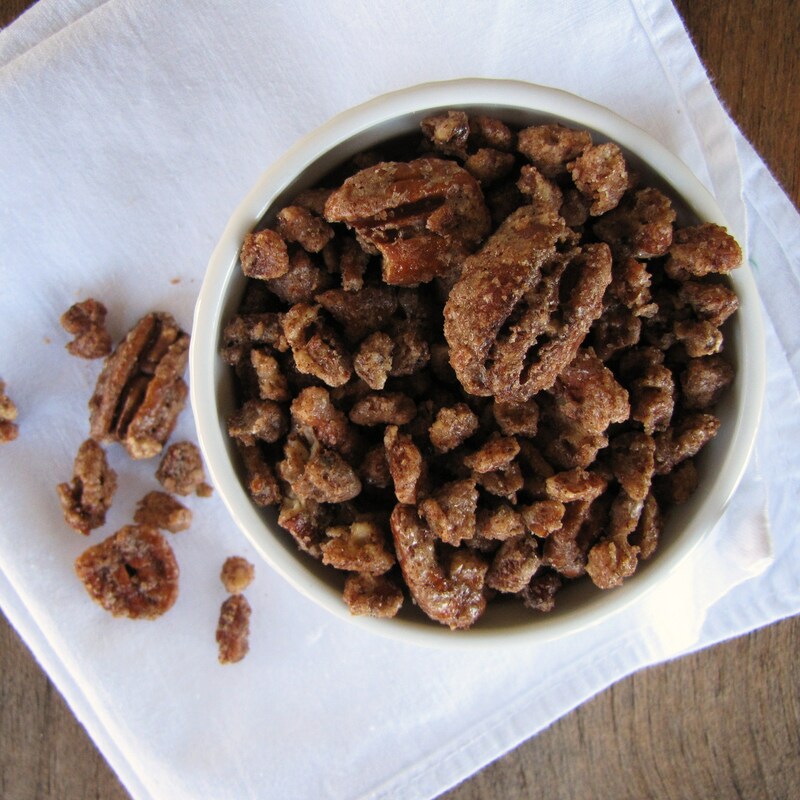 And candied pecans are actually pretty seasonal too. So maybe I’m not as far off the mark as I thought. Either way, I really enjoy these. They’re simple, and elegant, and well-balanced, and infinitely variable too. A few notes about candying nuts: I fell in love with candied nuts in Prague, where you can buy them on every street corner as soon as the weather turns cold. I’d frequently run down to the square between classes for a little paper packet of sugared almonds and a cup of hot wine (man, talk about living the life, right?) 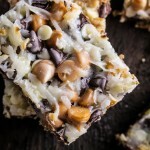 As a result of this, I ended up craving them all the time, and so I’ve experimented with several ways of getting the perfect, warm, crispy, sugared nut. 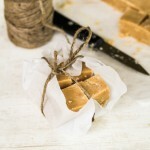 You can either do them on the stove top or in the oven: they’ll be done more quickly on the stove top, and you only need water and sugar, but your technique is more important – if you don’t stir constantly you’ll end up with a caramel mess and soggy nuts. They take longer in the oven, your results will be consistently good. I think I prefer the end result of the oven roasted nuts better, so if you have the time, do them in the oven! 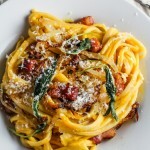 Recipe from epicurious. 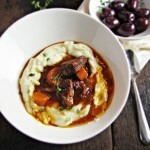 Serves 6-8 as an appetizer. Slice off the bases of the endives. Remove small and damaged outer leaves. Carefully separate leaves from the base so that they remain intact. 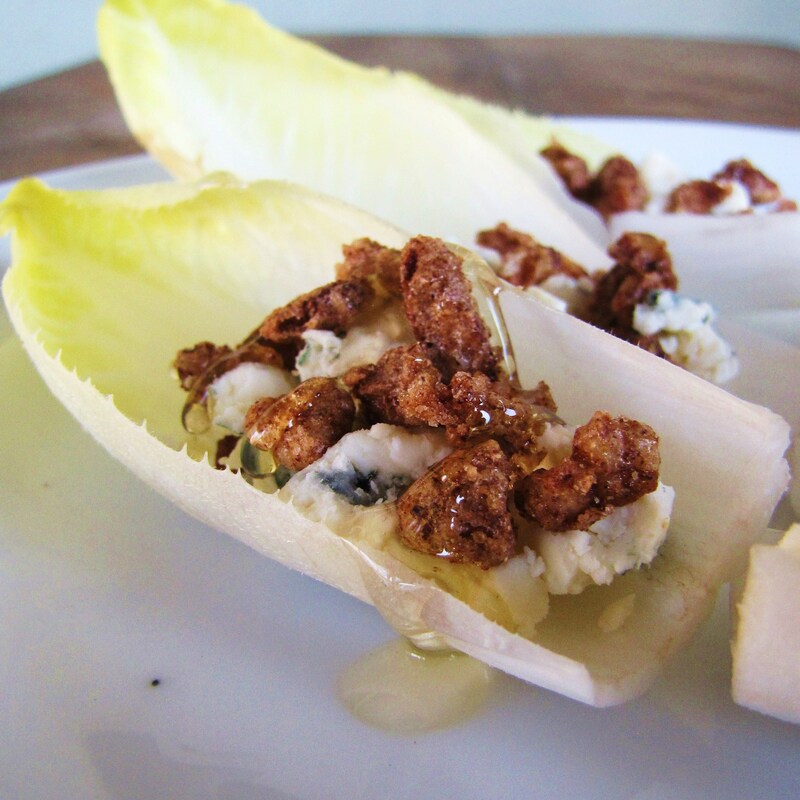 Fill the white part of the endive with crumbled cheese and pecan pieces. Arrange on platter and drizzle with a small amount of honey. Preheat oven to 250°F. Use butter to grease a baking pan. Beat egg white with water and vanilla until frothy. In a separate bowl, mix together sugar, cinnamon, and salt. Mix pecans with egg white mixture until they are all moistened. Then transfer to the sugar mixture and stir until pecans are fully coated. 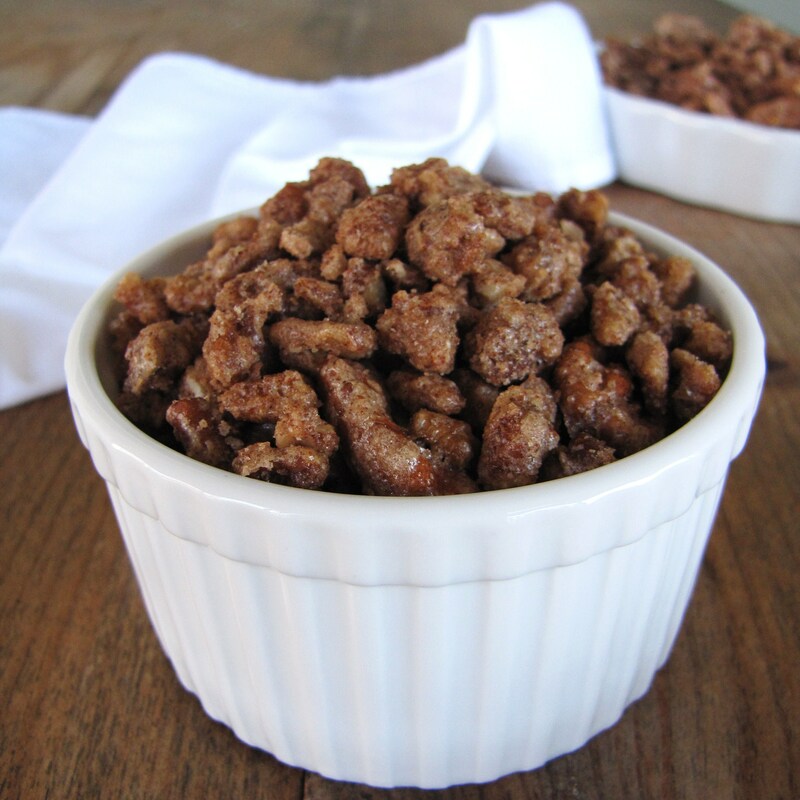 Spread pecans on greased pan in a single layer and bake for 1 hour, stirring every 15 minutes.